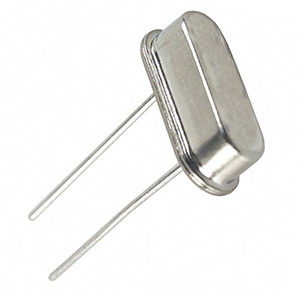 We stock a range of low profile through hole crystal resonators and cylindrical watch crystals with a range of MHz frequencies from approximately 3.5Mhz to 24Mhz. Used to generate an electrical signal at a precise frequency level with high stability. These crystals are designed for through hole mounting applications.